Hong Kong Dance Tours on offer! Hong Kong and Macau are fast becoming very popular hot destinations for our Dance studios to visit , perform and take dance workshops! 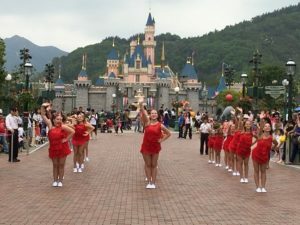 Disneyland Hong Kong – provide an opportunity to be part of the pre-parade entertainment down Main Street. Disney provide a number of music choices for Studios, they choose one and put together an amazing routine ! Crowds line the route to see the dancers perform before the Disneyland Parade floats and entertainers perform! 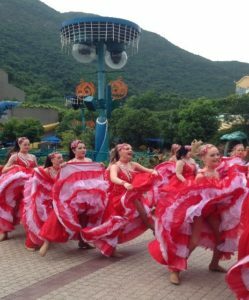 Ocean Park Theme Park – provide an opportunity for visitors to the Park to see the dancers perform in a 20 minute show. The location is just inside the Park. Choreography is organized and rehearsed at the studio before the Tour. 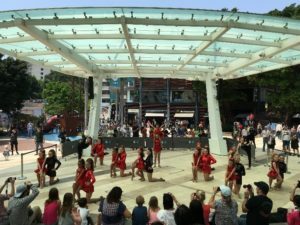 Stanley Plaza – lunchtime performances at this venue are sure to draw some of the lunchtime crowd in this very popular area. This 20 minute show is choreographed by your studio. K11 Shopping Centre – located right across the road from our hotel, this venue is just inside this Shopping area. Late afternoon performances are welcomed by everyone! This 20 minute show is choreographed by your studio. Out hotel is the Holiday Inn Golden Mile on Nathan Rd, right in the heart of the shopping and restaurant area. Easy walk down to the Harbor and Star Ferry with an MTR station right next door to take you all over Kowloon and Hong Kong Island. Sightseeing with a local guide to Hong Kong attractions such as Victoria Peak, Repulse Bay, Stanley Markets and Aberdeen, Full day tour to Mainland China Shenzhen for sightseeing and shopping at the famous Lo Wo Commercial Mall with 1500 stores! 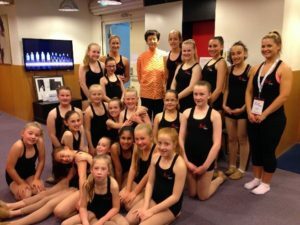 Dance classes at the world famous Jean Wong’s Ballet can include Ballet, Jazz and Chinese Dance as well as meeting Ms Wong if she is at the studio. If available she always makes time to meet our dancers! A quick hydrofoil trip across the sea to Macau, then sightseeing with a local guide to see this old Portuguese colony as well as the glitz of the new areas, evening at the world famous Headline show House off Dancing Water. Many of our passengers extend at the end of the Dance Tour and head up to Beijing to visit the Great Wall, Xian to discover the Terracotta Warriors or Shanghai! Interested in a great cultural experience for your dancers?….call our office and let us put together a tailormade itinerary for you! 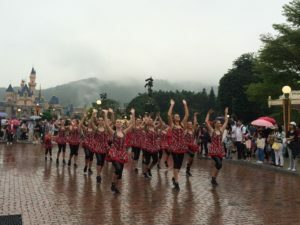 Previous PostPrevious Disney World Dance Tours!